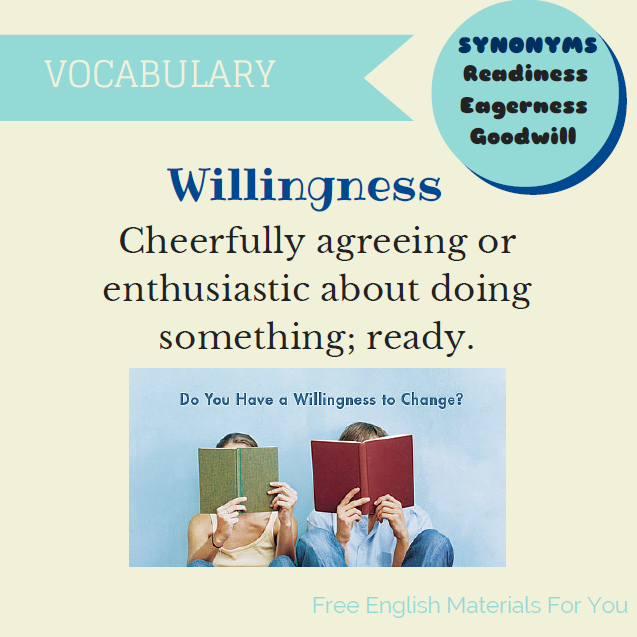 “Willingness” – What does it mean? The European Union has demonstrated its willingness to seize this opportunity. I do not see any willingness among a large part of the Council to make any progress. He has shown a willingness to negotiate. TO SEIZE (something) => To take possession of something; to grasp something with the mind.